Summer has finally arrived! 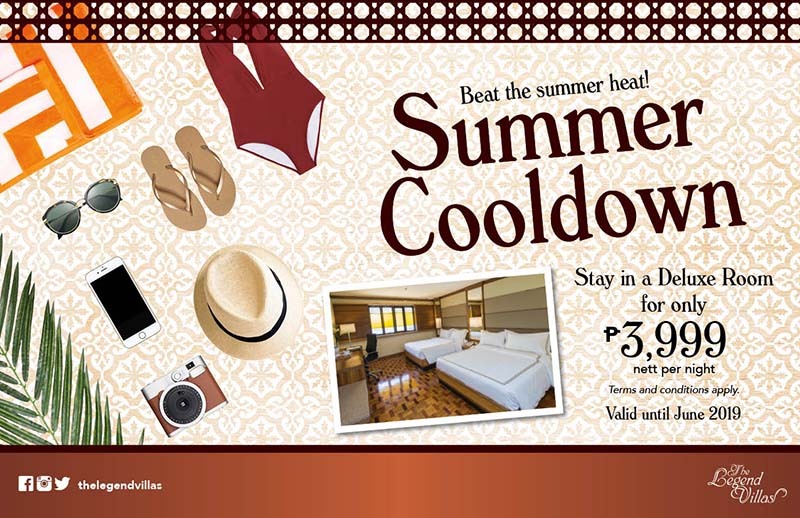 Beat the heat and enjoy a summer staycation at The Legend Villas for only Php 3,999 per night. – Overnight accommodation in a Deluxe room. – Use of swimming pool, outdoor Jacuzzi, and Fitness center. Promo period is from April 1 to June 30, 2019.